In conversations with Chris recently, it turns out, between his father and himself, they’ve made suits for no fewer than four Bond villains. Played by Robbie Coltrane, Zukovsky featured in two Bonds. Mr Eddie made a cream dinner suit and a blue mohair and grey mohair for the films. Played by Sean Bean, Alec Trevelyan was the British agent 006 who turned traitor. Mr Eddie made the charcoal suit he wears in several scenes. 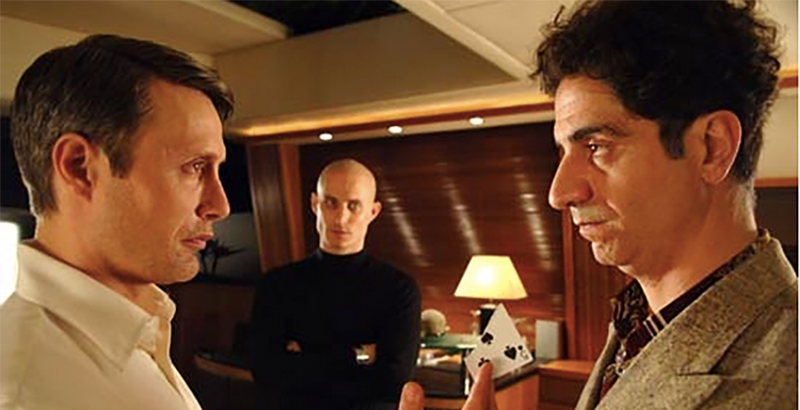 Played by Simon Abkarian, Chris made the silk linen three piece suit Dimitrios wears at the Ocean Club in the Bahamas where Bond relieves him of first his car (the DB5) and then his girlfriend. 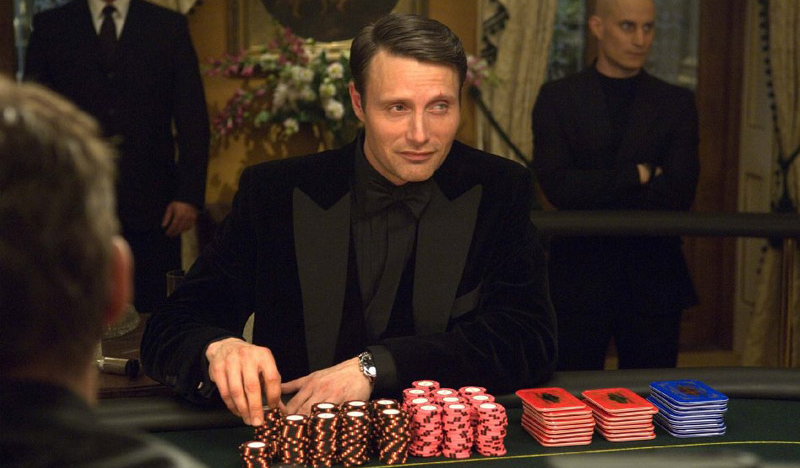 Played by Mads Mikkelsen, Chris made the velvet dinner jacket Le Chiffre wears at the poker game at Casino Royale in Montengro as well as the dark suit (actually brown) he wears to meet the Ugandan freedom fighters in one of the opening scenes.